Valentine’s Day - for some, this day is filled with chocolate, flowers and romantic dinners. For others, this dreaded holiday can feel like a big sucker punch to the heart. What may be even better than Valentine’s Day is Galentine’s Day. Made popular by famous Leslie Knope (a personal hero of the M&P team) Galentine’s Day is the celebration of female friendships. Our edition of the Galentine gift set is a collection of all things pink, tasty treats and good smells. 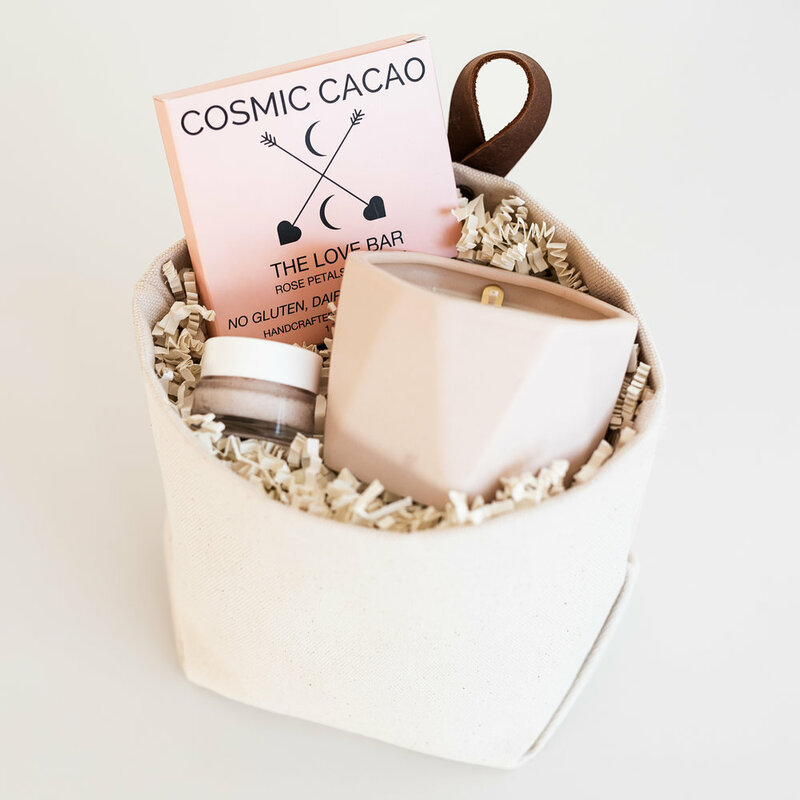 While we created this set for a friend to friend exchange, the Galentine gift set works great for a myriad of relationships - your work wife, bestie that lives across the country, your mom who could use an extra “I love you”. Or, of course, gift it to your partner who’s really not into the whole flower-chocolate-dinner thing. The most refreshing smell from one of our favorite local brands, Illume. 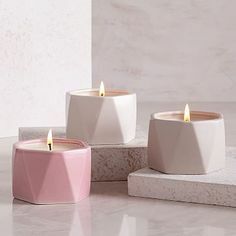 This candle burns for up to 20 hours! Pro tip - once the wax has burned down, reuse the canister for storage on your nightstand or desk. For soft exfoliation and shea butter finish. A necessity for your lips in the dry, winter air. Based in southern Minnesota, Miss Violet Lace is natural, vegan and cruelty free beauty brand.